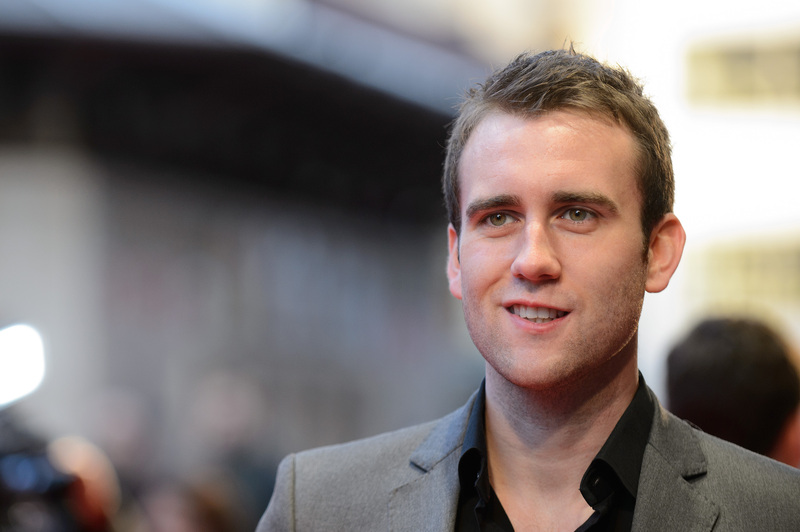 Matthew Lewis' Instagram Is Swoonworthy, But What If Neville Longbottom Had An Instagram? The internet has been blessed: The hottie behind Harry Potter's Neville Longbottom, Matthew Lewis, has made his Instagram public. That means that we now get an exclusive peak at this hero's life: Thus far I've learned that he's always down to play with giant snakes (when he's not slicing off their throats), not above making a silly face, and apparently (and ironically) hangs out with Draco Malfoy on the reg. All of which makes me curious... what if the REAL Neville Longbottom had an Instagram? It's a crazy concept, considering the strong possible throwback Thursday games. Let's be real, less than 10 years ago who would imagine that "hottie" and "Neville Longbottom" would be uttered in the same sentence? But, while Neville did appear dashing in the last Harry Potter installment, all cozy cardigans and sword of Gryffindor, let's never forget the simple fact that at the end of the day, he IS Neville Longbottom. There is that underlying awkwardness under his newfound bravado, and it is simultaneously charming and guaranteed to make you facepalm. Because I want to make all your dreams come true, I concocted 7 days of Neville Longbottom Instagrams, with each day's respective hashtags. Gather 'round, Potterheads, and enjoy this snapshot at the real Neville Longbottom's Instagram. Dean and Neville are longtime bros from those two or three scenes they've shared together over the past 7 books and/or 8 movies, depending what kind of fan you are. But seriously, though, how can you deny that glowing facade? Seamus Finnigan saw this later and had major #FOMO. Inevitably, Neville has the BEST #TransformationTuesdays, reassuring all his Hogwarts alumni that he alone won the puberty lottery. Yes, Harry Potter may get the all the glory of being "chosen," but his Tuesdays remind everyone of the same thing: that he's basically been the same size since year 3. The thing is, although Neville was an essential part of Dumbledore's Army, he never really... like, interacted with Dumbledore, one on one. So like a teenaged girl with Marilyn Monroe, all his Dumbledore #WisdomWednesday quotes are sourced straight off the internet. This is, frankly, one of his better efforts. It was really awkward last week when he posted, "You shall not pass." This #ThrowbackThursday is near and dear to Neville's heart, because it marked the point where things started looking up for him. Before they started looking down again. And then up for a while. And then down for a while. Actually, to be honest, he just liked how he looks in those pajamas. "The day my godfather DIED, Neville?" Neville doesn't have a cat, and last time he tried to get a picture with Crookshanks he was left with seven stitches. Instead, he posts a vintage picture of him with Trevor, carefully selecting the best filter he could find. Kelvin is what Trevor would have wanted, god rest his soul. Neville was not fighting the forces of evil. He was hanging up curtains in Luna's new studio apartment in Hogsmeade and crashed through the window.